What causes different kinds of weather? What is wind and where does it come from? How can pressure systems help us predict the weather? Understanding weather systems is the key to reliable weather forecasting. Scientists who study the weather are called Meteorologists. A Synoptic Chart maps out atmospheric pressure and weather fronts. Data is collected from ground stations, balloons, aircraft and satellites. Wind, rain, and lightning, are difficult to ignore but we're less aware of the weather systems that lie behind them. Understanding these systems is the key to reliable weather forecasting. 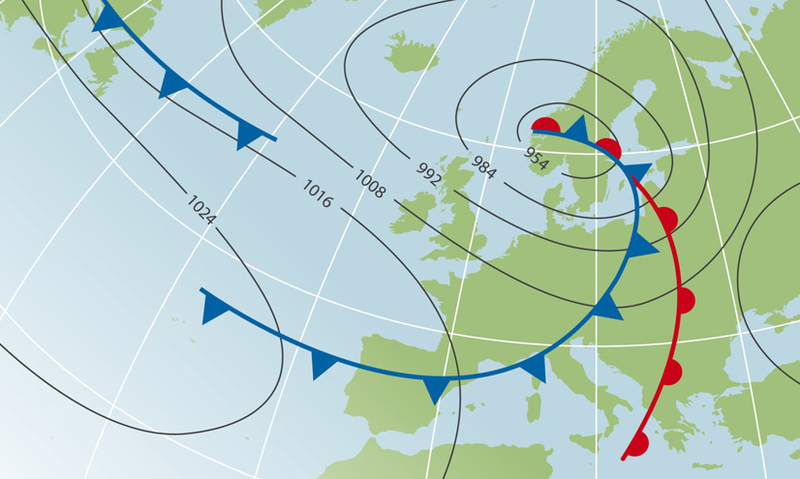 Meteorologists – scientists who study weather – use synoptic charts such as these to summarise atmospheric conditions over a wide area.